Let's face it kids and clean cars just don't mix. 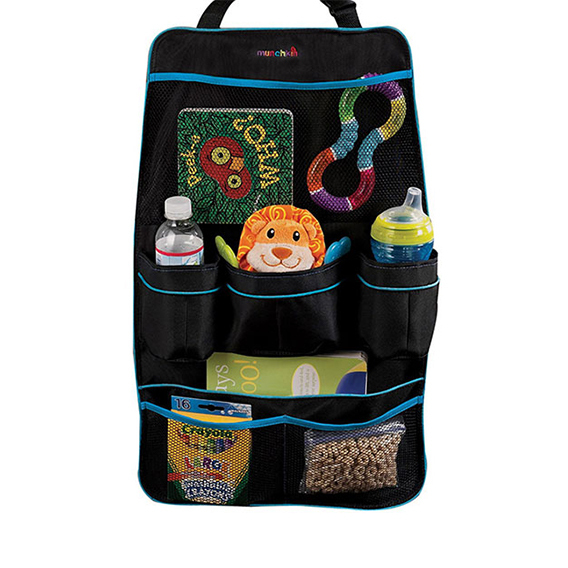 But it's possible to get a handle on the mess with Munchkin's Backseat Organizer. You can keep your little one's toys, books, water bottles, diapers, wipes and other travel essentials in place while protecting your upholstery at the same time. This car organizer does double duty not only does it offer a smart storage solution to keep your backseat clutter-free, it also hangs from the driver or passenger seat, keeping it scuff-free. That's just how smart moms roll.